We assist clients in obtaining all necessary government approvals, provincial & municipal, so as to allow their visions and dreams to become reality. 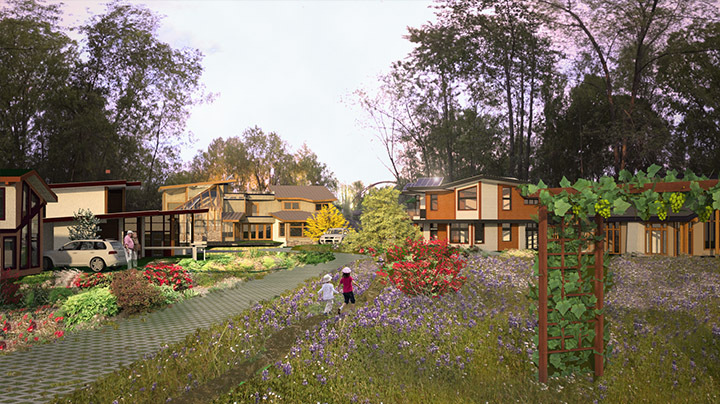 We believe green neighbourhoods and intentional communities of all sizes are the next evolution of our pursuit of creating affordable, sustainable and resilient shelter. We share our passion, insights and regulatory expertise to guide your project from vision to building permits. Our custom design process involves extensive review of the client’s needs and desires, confirms the assets and limitations of the site, identification of viable green features with a confirmation matching the budget. Greenplan provides building design, project coordination and working drawings, as well as obtain all permits to guide your vision to construction. We value the opportunity to share our share our experience and insights into sustainable development and green building design in the hopes of inspiring appropriate change for future generations. Greenplan is a Vancouver Island based consulting company spanning the dual disciplines of Community Planning and Building Design. We offer a broad spectrum of services. Our expertise and passion brings sustainable buildings and green neighbourhood developments to life. Greenplan integrates innovations in renewable energies, passive solar, rainwater harvesting and irrigation, greywater recovery, permaculture, and more. 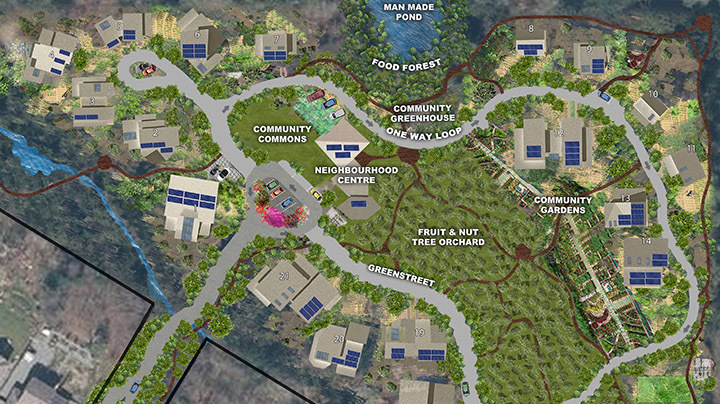 We believe humans must be more sustainable in their approach to creating homes and communities. To assist this change is our purpose and our passion. Greenplan has over 20 year of experience with provincial and local government agencies and a longstanding reputation. We practice permacutlure perspectices and are active leaders in our local community. Jack designed us a very eco friendly and amazing high class home. It leaves nothing to be desired, we are now living within our share of the resources of our one earth! As one unique example and Jacks special feature – we incorporated a greenhouse room inside our home to grow own food! As a residential builder, I have been fortunate enough to collaborate on projects with Jack and Keene Anderson on many occasions and I have always found the team at Greenplan to be knowledgeable and passionate about what they do. With Jack’s years of experience in the building industry, Keene’s knowledge of design programs and their tireless pursuit of designing efficient, well thought out, comfortable homes I am always happy to recommend Greenplan to my own clients. Owner, Island Red Cedar Construction Ltd. Since 2015 I have been getting Jack’s professional assistance. I was impressed when Jack told me: “green is in my heart”. No matter the type of project we discussed, Jack and his team always provide the best professional service. We feel that Jack designs each project with heart and soul. His service is highly recommended. © Copyright Greenplan. All Rights Reserved.